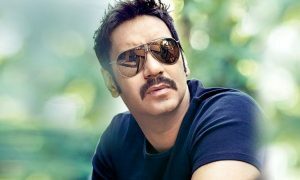 Ajay Devgn, the man who not only is known for his comic timing in movies such as the Golmaal franchise but also is an actor who can portray serious roles like a pro. As Ajay turns 49 today, here’s a list of movies where he has successfully played a patriotic character in the service of the nation to the T.
Ajay played the part of the Superintendent of Police where he tried to instil honesty and courage in subordinates. In the movie, he also dealt with local goons who have the police in their pockets. This Rohit Shetty directorial saw Ajay playing an Indian Army Officer, who is willing to go to any heights to keep his country and countrymen safe from terrorists and terrorist activities. The film co-starred Abhishek Bachchan as an ATS officer. This multi-starrer saw Ajay Devgn working alongside actors such as Sanjay Dutt, Abhishek Bachchan, Mohnish Bahl, Raj Babbar, Manoj Bajpayee, Kareena Kapoor Khan, Rani Mukerji, Raveena Tandon and others. As Havaldar Mohammed Ali a.k.a. Mike Alpha in Tango Charlie, Ajay essayed his role perfectly as an army person who will die for his country (which he did in the film). He also was the best mentor that Tango Charlie received while serving in the armed forces. In this film, Ajay places a simple, down-to-earth police officer who is threatened by a local goon-turning-minister. His fight for justice and respect for the police force made him a success. Ajay Devgn plays the role of an IT officer to utmost perfection with no violence (action scenes) at all in the movie, he still manages to convey his part of an honest officer who wouldn’t bow down to political pressure if needed with ease. Sometimes heroes do come without capes. As Raid inches towards the 100 Cr mark, we wish Ajay Devgn a very Happy Birthday and hope that his recent movie enters the much-coveted club!